Several indicators need to be taken in consideration: size, people, control, legality and usage. There are two important ideas to remember when defining, reading or using this definition. Firstly, that this framework can be used in any country or area to define land grabbing. Secondly, none of the five factors can be used individually to define land grabbing: a land grab is not based only on size or usage, it is a combination of several these points. 1. Size – What amount of area equals land grabbing? In general, big is bad, but it is hard to know what exactly is “too big”. The amount of land considered a land grab changes depending on local plot sizes. In order to have a size to identify land grabs, people must look at land holdings in their countries and determine what the average and culturally adapted sizes are and the range that most holdings fall into. 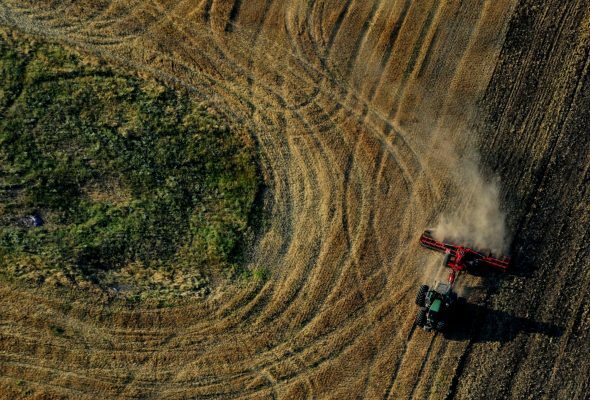 As an example, in Romania, the point when an agricultural holding no longer blends in is about 50 hectares: holdings of more than 50 hectares equal less than 1% of all holdings. 2. People – Who can be considered a land grabber? Absolutely anyone can be a land grabber: individuals, groups or companies; public or private; governmental or non-governmental; domestic or foreign. Land grabbing is not limited to certain groups or people. 3. Control – How is the land controlled? Land grabbing is about overall control. Land grabbers can control areas in several ways including leasing land (sometimes through long-term leases from governments, called concessions), having tenant farmers or sharecroppers, or actually owning the land. Land can also be controlled through quota and supply contracts that force people to use the land in a specific way for the benefit of the land grabber. 4. Legality – Is land grabbing legal or illegal? Land grabbing occurs both legally and illegally within current laws. Most land grabs are actually legal, meaning the deals obey national and local laws. However, these current laws do not protect against land grabs. In most cases laws at least tolerate land grabbing if not help it. These unjust and illegitimate laws encourage land grabbing and abuse human rights by allowing land grabbing to be a ‘legal’ action. 5. Usage – How is the land used and for what purpose? Land grabbers use land in harmful ways and for exclusive purposes. Agricultural uses include monocultures and non-agroecological methods (which can even be organic). Other uses include land speculation, commodification, resource control and extraction (meaning local peoples do not benefit from the resources). All of these uses threaten food sovereignty, land stewardship and sovereignty, and human rights. Based on the above mentioned framework we can outline a comprehensive definition of land grabbing that can be widely applied based on individual countries’ and struggles’ all over the world. So, what is land grabbing? Land grabbing is the control – whether through ownership, lease, concession, contracts, quotas, or general power – of larger than locally-typical amounts of land by any persons or entities – public or private, foreign or domestic – via any means – ‘legal’ or ‘illegal’ – for purposes of speculation, extraction, resource control or commodification at the expense of peasant farmers, agroecology, land stewardship, food sovereignty and human rights. This article was originally published on the website of Hands on the Land partner ECVC.